All of our Pre-owned machines have been "loved" in a previous life and are looking for their new homes. They have been taken in on trade towards one of our new Husqvarna Viking or Pfaff models. 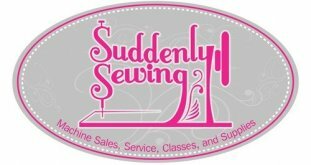 If you are looking for a new machine OR an additional machine for your sewing room, you can save thousands of dollars on these wonderful machines! Our technicians give each machines a thorough check-up and cleaning. And each machine comes with a 30-day warranty unless otherwise specified and are available on a first come-first service basis. Deals like these don't stick around long. 10/25 Our Pre-loved inventory changes frequently. Stop by and check out our current inventory today!